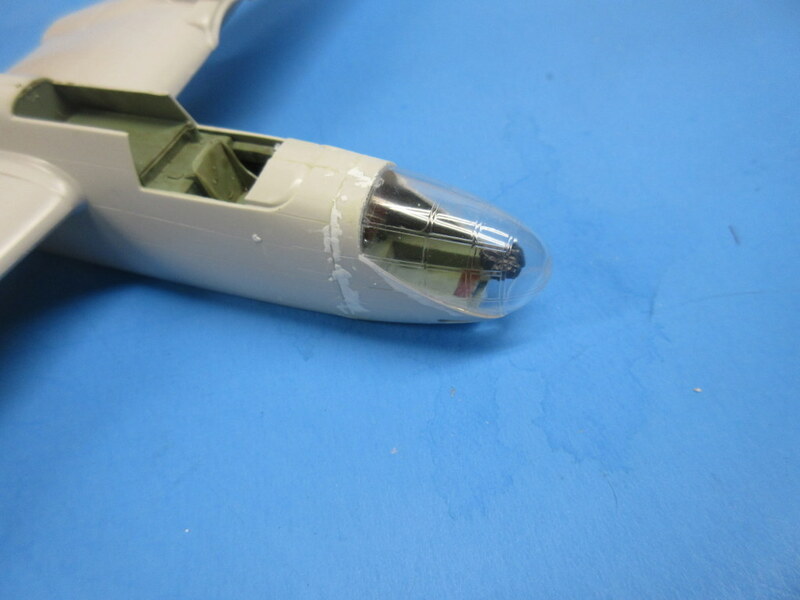 As predicted, once the cockpit was painted and ready for the kit assembly went quick. 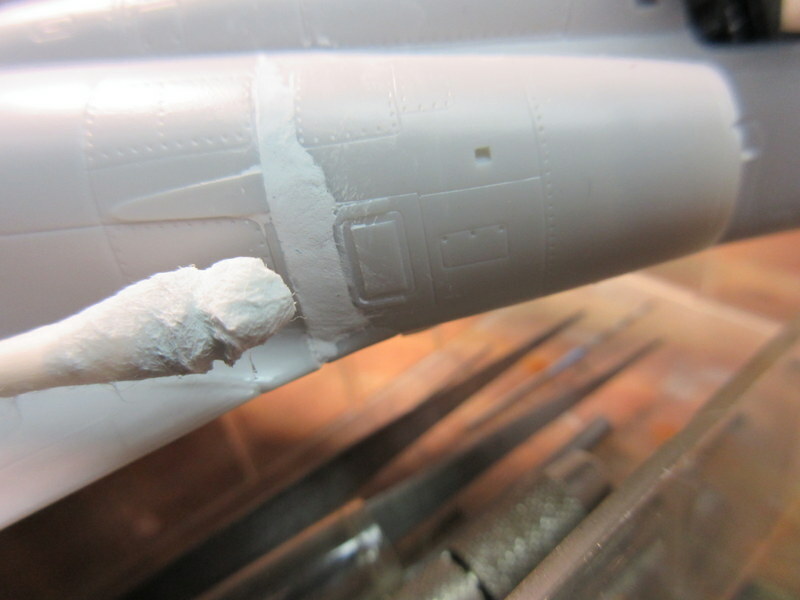 We are into the putty and seam management phase of the project. Most the seam of this kit are pretty good. 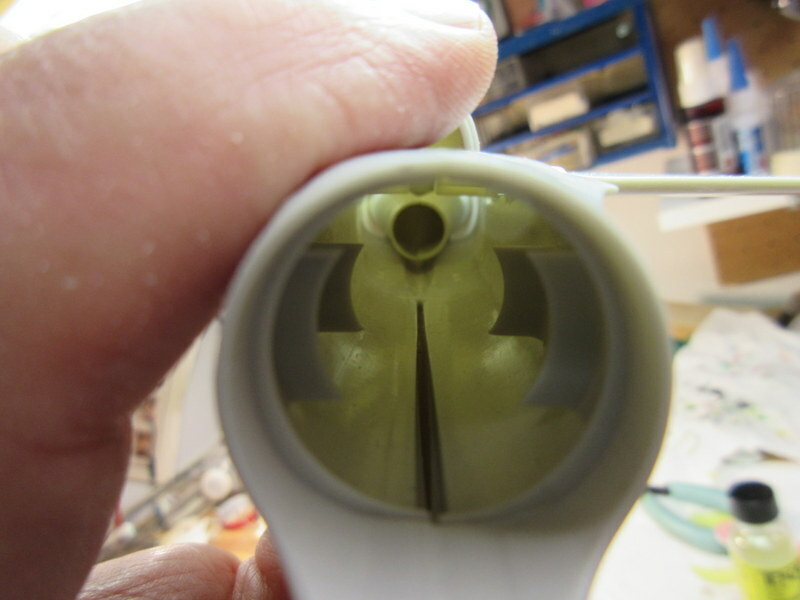 The covers over the air inlets have been my biggest issue. 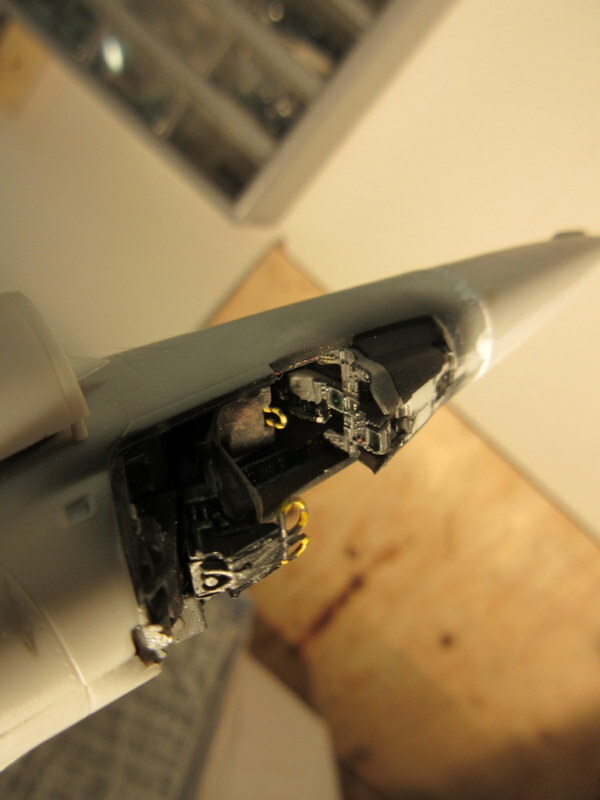 I tried putting them together carefully but one of them set up wierd and will require some putty and sanding, I hope I can preserve the detail. That is the worst. 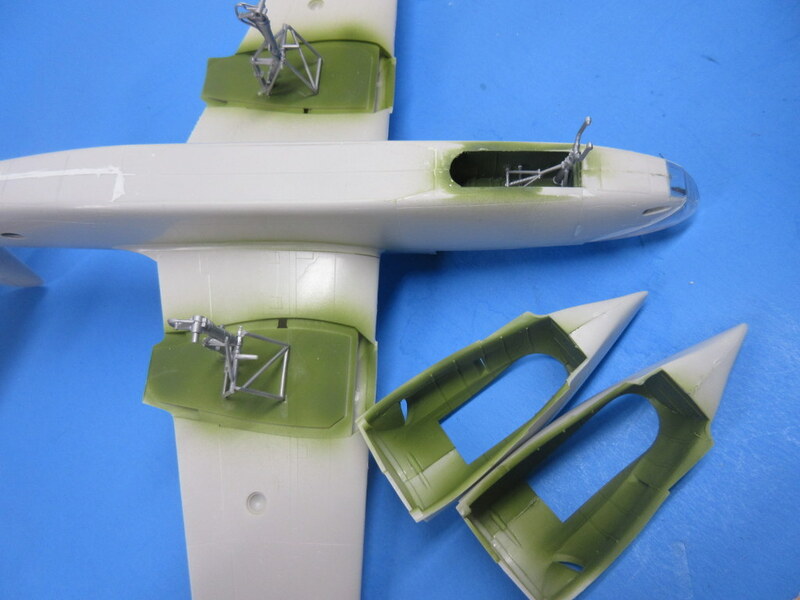 the wings went to the fuselage pretty good. 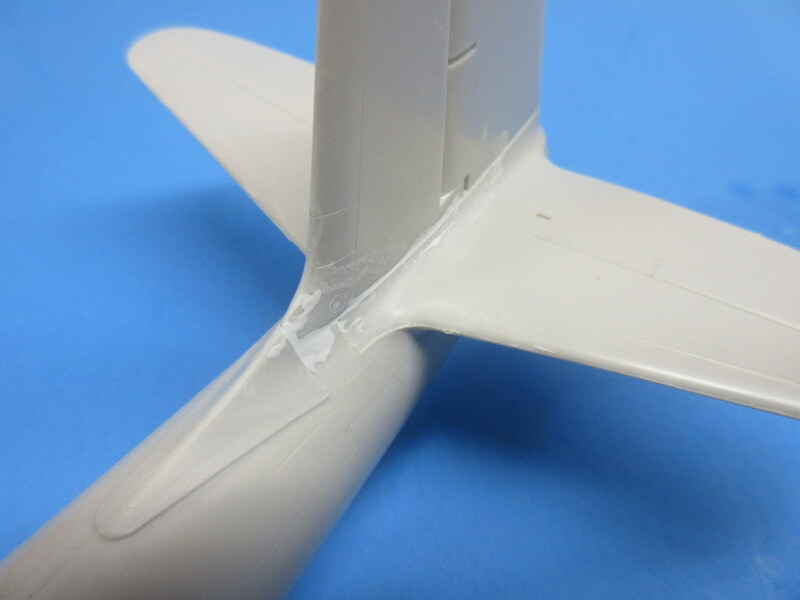 I used an old trick I learned on the DML Fw-190 kits; you first fit and glue the upper wing pieces to the fuselage and manange that so there are no gaps, then you glue the lower wing unit on and glue the upper and lower wings together. 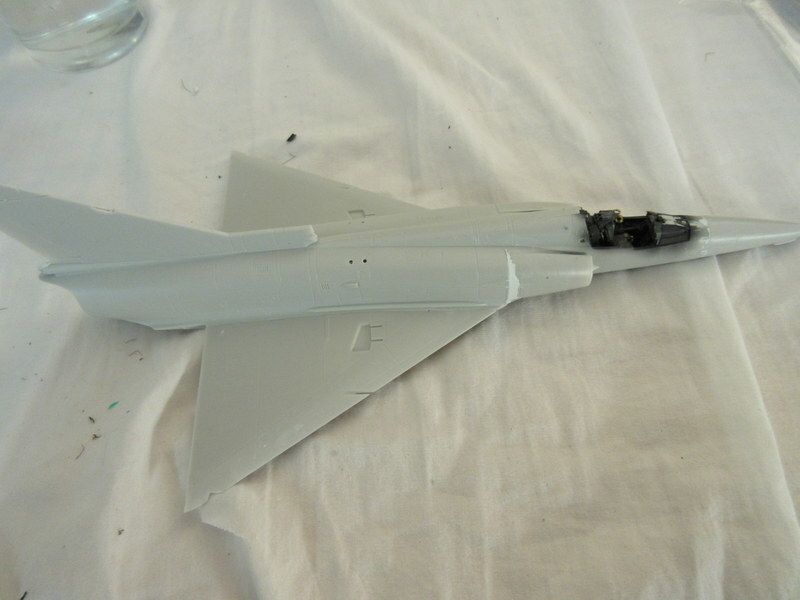 This give you a better shot at no gaps on the upper wings and the act of stretching the upper wings to attach correctly to the lower wing can pull the fuselage apart ever so slightly and help with the dihedral. 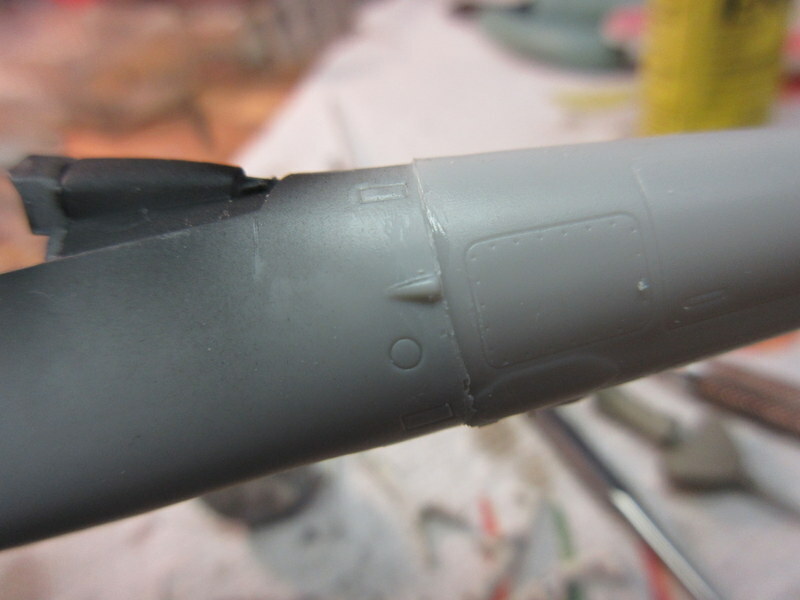 I’ve added the milliput putty I use to a few spot. 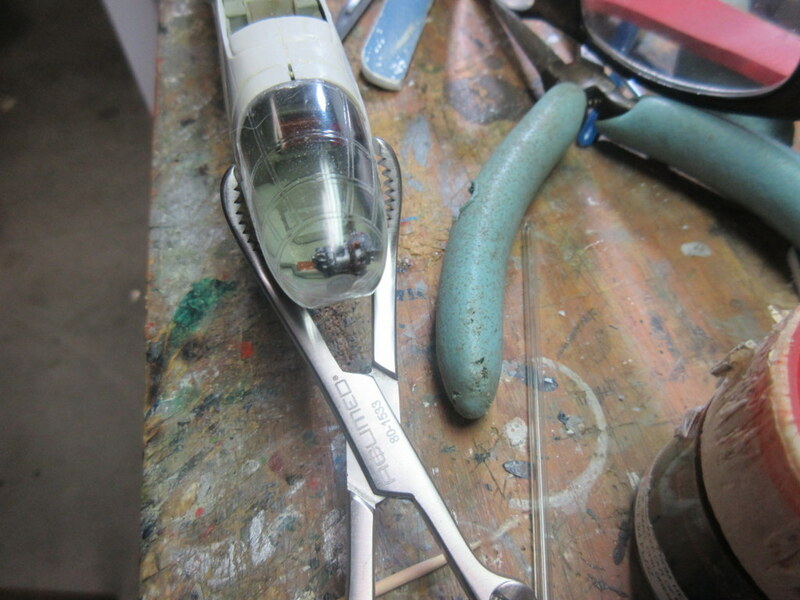 I mix both parts, use a metal spatula to apply, then smooth with a wet Q-tip and take off any excess. This works better than plastering the thing up and then sanding for an hour later. We should be ready for sanding and cleanup tomorrow and start painting moving into the week. 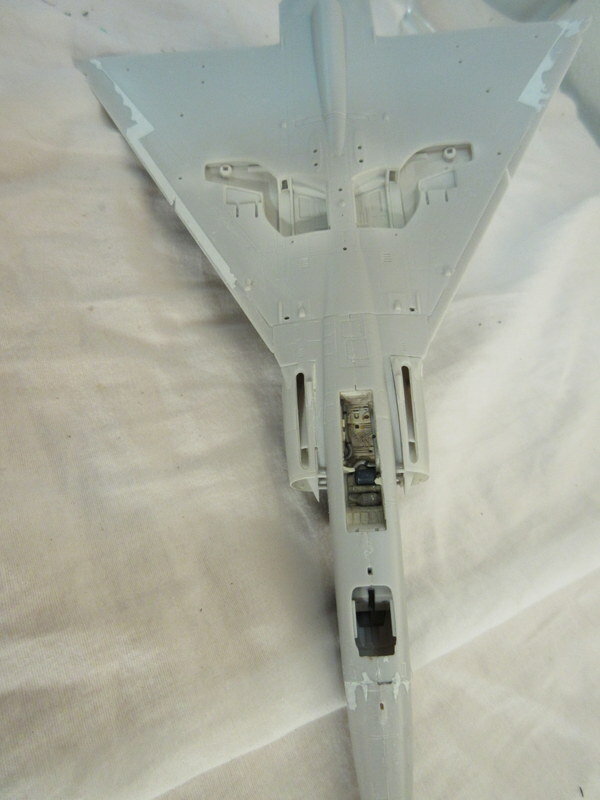 I still have to add the canopy and wing flaps before painting. 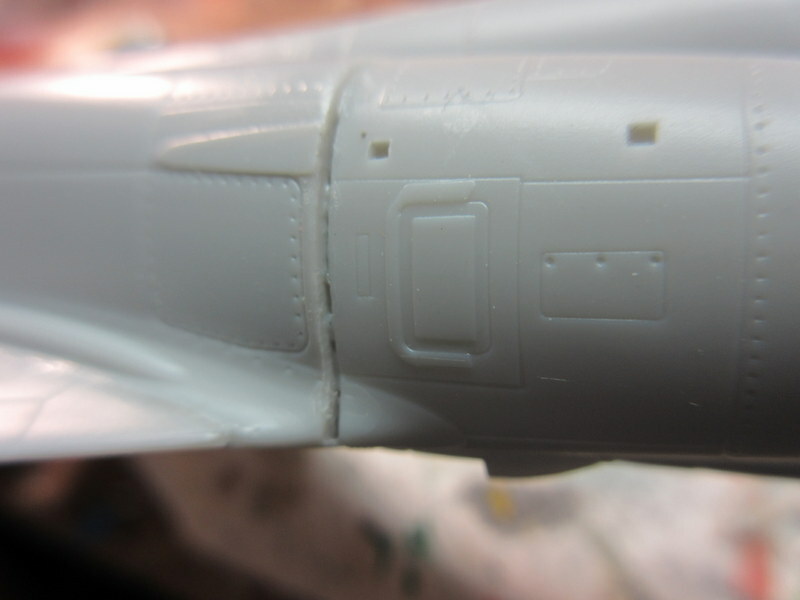 As a funny note, I got into a hurry and upon gling the wing I realized I forgot the engine front at the end of the intakes so you can see straight through. 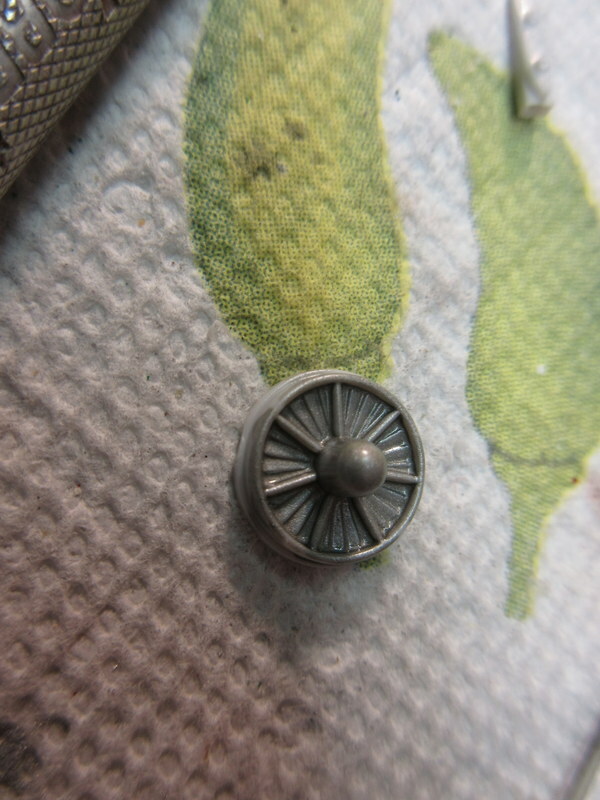 A long brass rod pushed into a hole in the back of the engine face and placed way into the kit fixed that. Whew!